After his dominant performance in the long distance yesterday, the question was if Casper would be able to find the same kind of form today, and enough gas in the tank to take the win in the sprint racing, normally his favorite discipline. Out of the start gate in the final, there was no question that he had maintained that form from yesterday, but peaked right at the correct moment to dominate the heat and secure the well deserved victory in both the Sprints, but also of the 2015 Sieravuori Masters. 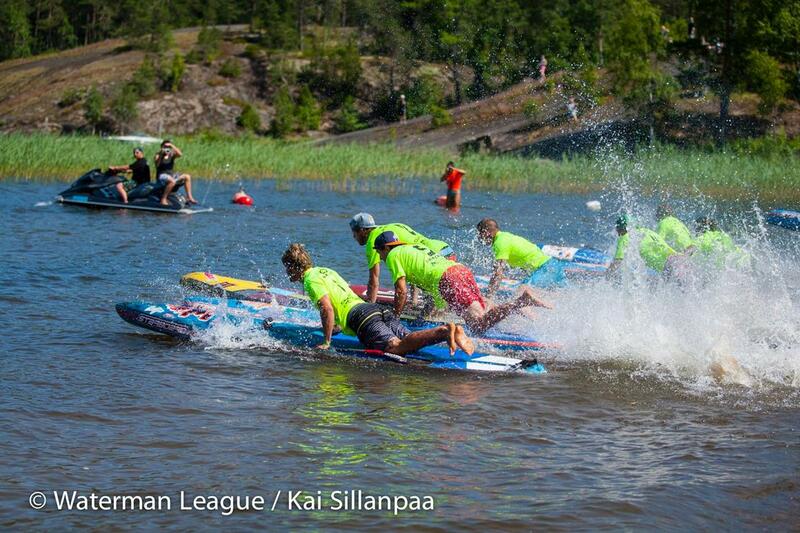 Leonard Nika (Starboard) continues to assert himself as one of the World’s leading paddlers here in Finland, posting an impressive 2nd place overall in this second stop of the European Cup, and sitting right on the tail of Casper Steinfath in the Cup’s overall Rankings leading into the Final at home in Rome in just under 3 weeks time. Leo was disappointed with his 4th place yesterday in the long distance and was back today with a vengeance, paddling powerfully and smart to earn his 2nd place finish in the sprint racing. 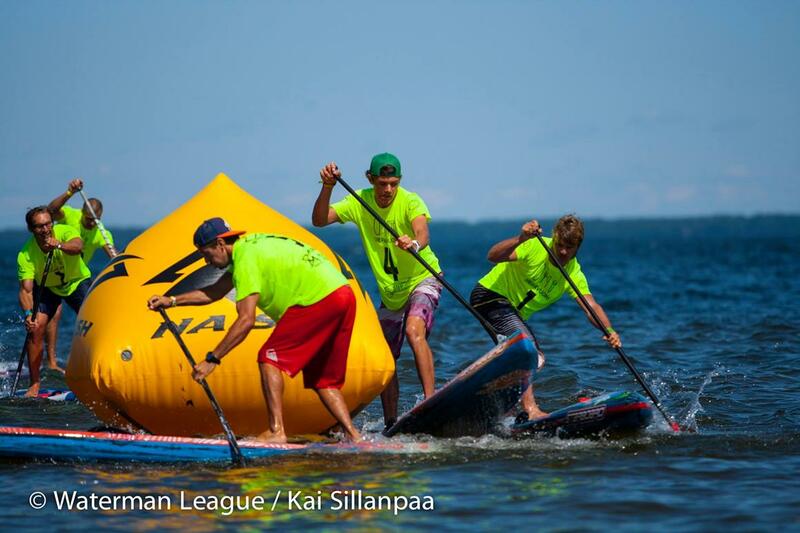 This second place was enough to break the points tie with Zane Schweitzer (Starboard) and earn him the well deserved 2nd place overall here in Finland. 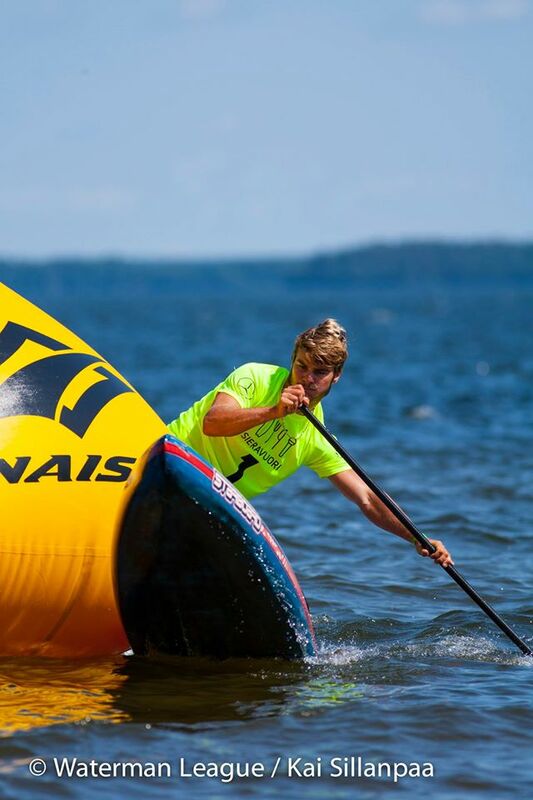 Zane Schweitzer (Starboard) has fond memories of Finland, as it was the place where he secured not only the event win, but also the European Cup Title back in 2014. 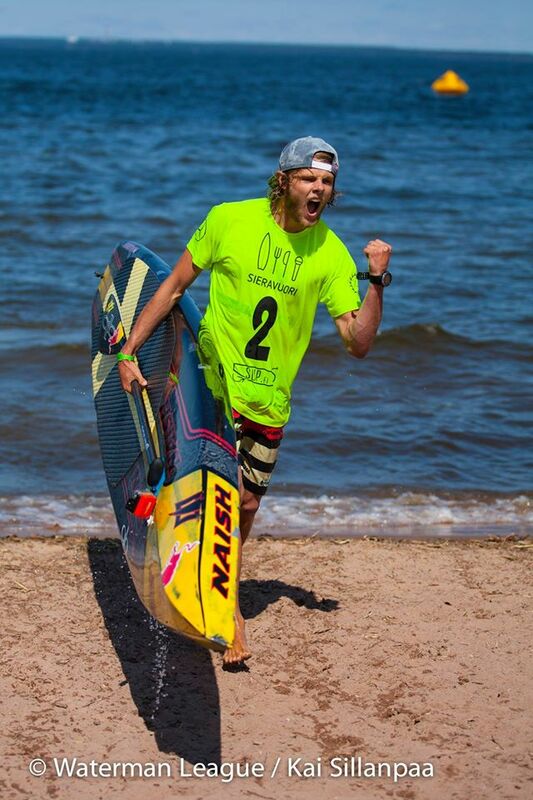 This year, he was back to defend both Titles, and while he didn’t manage to defend the event Title with the Viking Casper Steinfath (Naish) putting on such a dominant performance, he is still very much in the running for the European Cup Title. The European Cup Title Race is now very much alive, as the leading trio are now all in position to make it a reality coming into the Final event in Italy, the 2015 Italia Surf Expo that will take place from the 24th – 26th July. 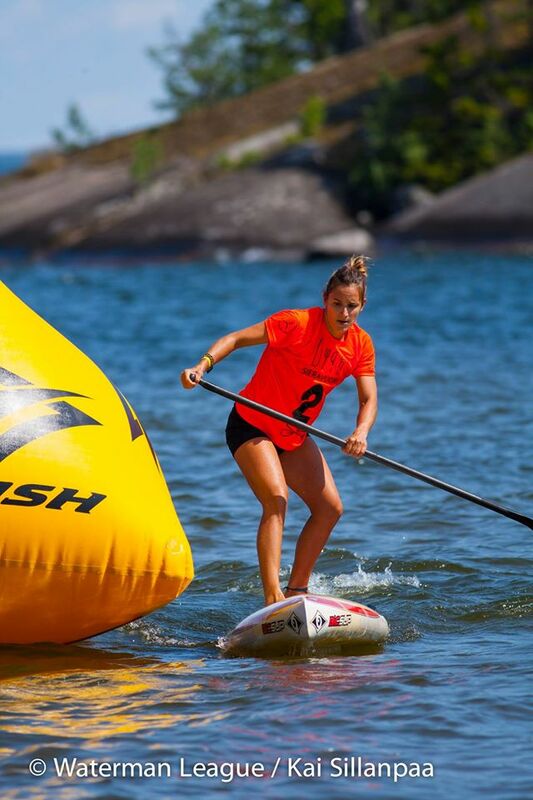 Celine Guesdon (Bic SUP) capped an impressive weekend of racing putting on dominant performances in both long distance and sprint races to take 2 bullet wins and the overall event Title. This win, coupled with her 4th place finish in Barcelona now propels Celine to the top of the European Cup Rankings as she sets herself up well for the Final event of the Cup in Italy later this month. There is no doubt that this talented French athlete has an exciting future ahead of her, as she will also join the World’s best at the next stop on the Stand Up World Series in Brazil. 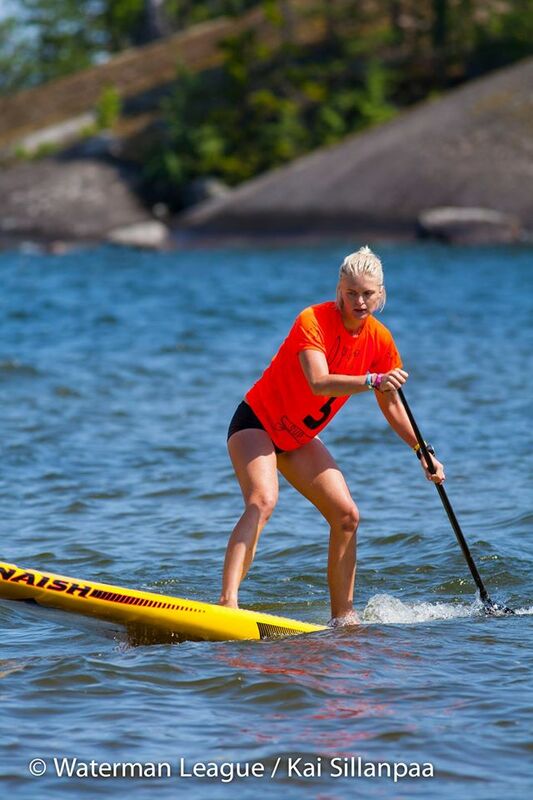 Ane Zulaika Aranburu (Bic SUP) puts on another impressive performance in Finland this weekend to post a solid 2nd place finish, which combined with her 5th place finish in Barcelona, propels her into 2nd place overall in the European Cup Rankings for 2015. New to the World Series and European Cup in 2015, Ane has proved herself a force to be reckoned with on the global stage, and while she had to be bridesmaid to Celine’s golden hour here in Finland, she put on a stellar performance in both the long distance and sprint racing to post 2nd in both, and finish in 2nd overall. Maya Person (Naish) is another new face on the European Cup, hailing from the neighbouring country of Sweden, and putting on a solid performance here on Day 2 of the Sieravuori Masters in Finland. Finishing in an impressive 3rd place in the Sprints, Maya was able to secure 4th place overall for the event, a solid finish for this Swedish talent. Meanwhile, Joanne Hamilton-Vale from the UK did enough in the sprint racing today, to secure a podium finish for the event, an impressive achievement from this dynamic paddler and community driver in the UK. After an incredible weekend of racing in Barcelona last weekend, it was hard to imagine how heading north to Finland would fare against such a spectacle in this dynamic Spanish City on the beach. However, the contrast of heading out into nature to this paradise found in small region of Sieravuori, north of Helsinki has been one of the most refreshing experiences imaginable. Sieravuori is a location that was made for the adventure minded: from paintball, ATVs, skate ramps and hiking, to wakeboarding, windsurfing, kiteboarding and of course, stand up paddling, Sieravuori has it all in abundance and at your fingertips. Even just for the opportunity to get away from the hustle and bustle of City life, Sieravuori provides the perfect escape. The racing was world class and the experience unforgettable – a big thank you to the organizers, the partners and of course the athletes for making it up to this unique northern European location as we all look forward to the opportunity of returning soon.